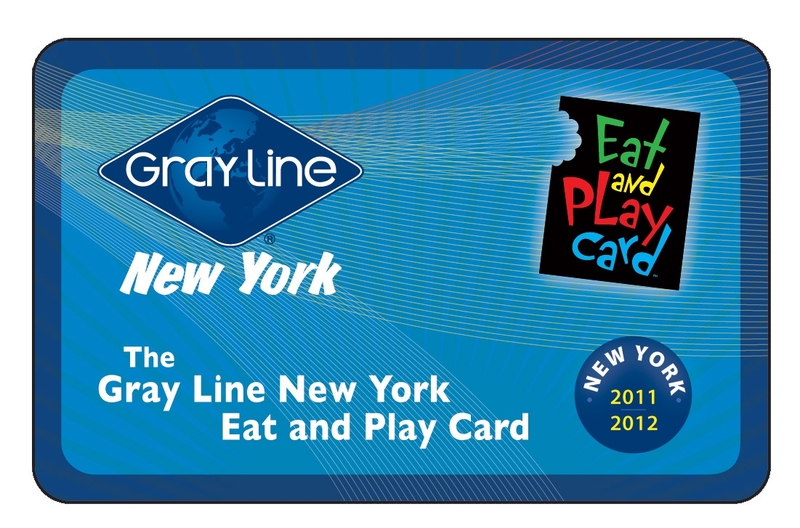 Welcome to Eat & Play Wednesday, where each week Gray Line New York will be highlighting one of our friends who offer discounts with the Eat and Play Card. Today we are taking a look at The Intrepid, Sea, Air and Space Museum, who offers 20% off with the card. The Intrepid, Sea, Air and Space Museum is a grand collection of museum ships in NYC, filled with military and maritime history and is located in Pier 86 street. Shortly after a prominent New York real estate developer and philanthropist named Zachary Fisher and a journalist named Michael Stern fought for and succeeded in saving a WWII aircraft carrier named the USS Intrepid from being scrapped in 1978, The Intrepid, Sea, Air and Space Museum was founded in 1982. In addition to holding the Intrepid, the museum also houses the submarine USS Growler, a Concorde SST, A Lockheed A-12 supersonic reconnaissance plane and the most recent awarded gift, The Space Shuttle Enterprise. The Intrepid is open 7 days a week, from 10 a.m. -5 p.m., and open an extra hour late on Saturdays and Sundays until October 31st. With the Eat and Play card you receive 20% off the price of admission at the door. You can purchase your Eat and Play Card online here, or in person at our visitors center at 777 8th Avenue. Every Week, Gray Line New York will be highlighting a “Partner of the Week” on our blog. We are going to provide a review for a new partner’s product and share our own insights and experiences. 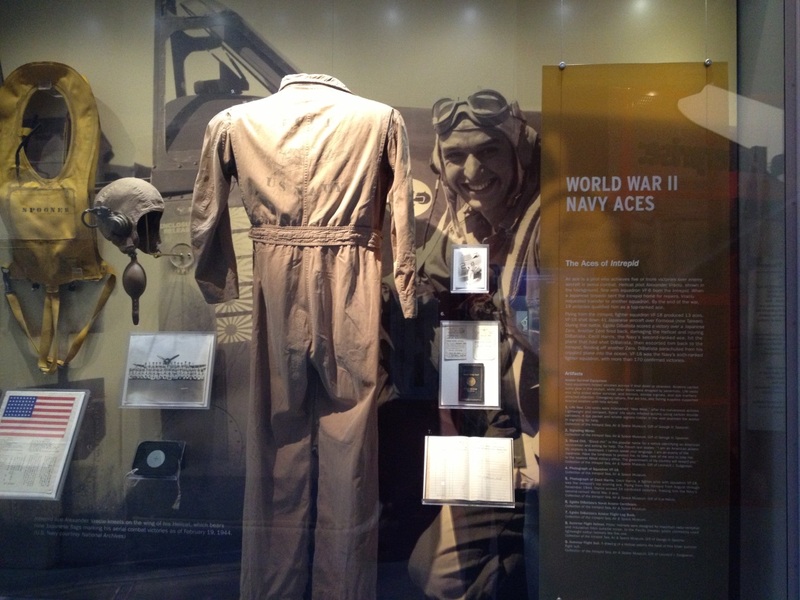 This week, our Partner of the Week is the Intrepid Sea, Air, and Space Museum. 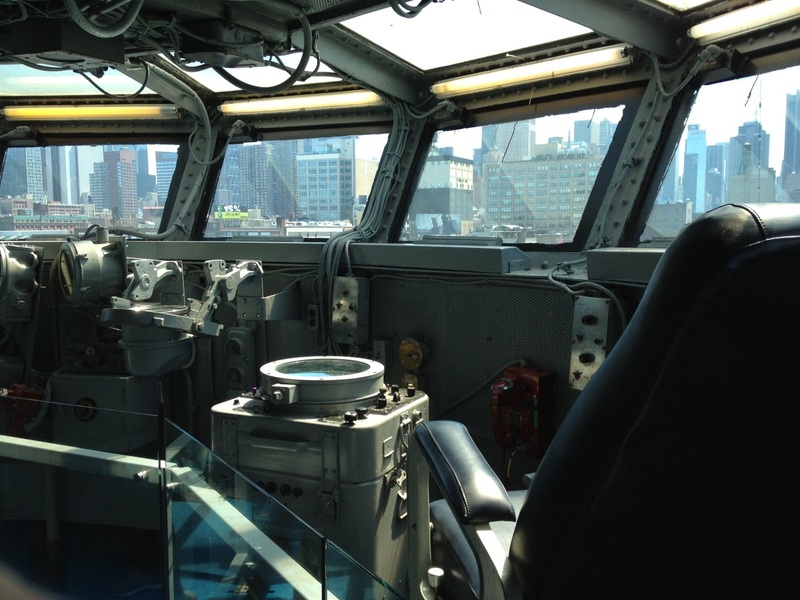 If you like exploration, inspiration and excitement, the Intrepid is the museum for you. This Sea, Air, & Space Museum, all located on the aircraft carrier, The Intrepid, gives you the opportunity to learn and experience US history from the past century. Positioned right on the Harbor, I personally think the Intrepid is one of the most uniquely located museums in all of New York City because it has beautiful views of the water on one side and the city on the other. Separate from a traditional museum, the Intrepid offers indoor and outdoor experiences like no other museum I have been to. After going quickly through security, I immediately stepped onto the large pier where the ship is docked. It was a beautiful day so I did not rush to get onto the ship/museum and I walked to the end of the pier where a British Airways Concorde was located. It was cool to see because this was one of the only airplanes featured that I could actually touch and walk under. From there I finally boarded the Intrepid through one of the four towers. This took me onto the Hangar Deck, which is all indoors and filled with countless artifacts and history. A portion of this deck is an exhibit known as the Exploreum. I felt that this is worth noting because of the hands on activities. You could sit in the cockpits of fighter jets, lay in the ships bunk beds and experience a 4-D motion ride, just to name a few. I could tell a lot of kids were especially enjoying this section but that doesn’t mean I didn’t. After the Exploreum fun was over, I went outside to climb up to the Flight Deck. Here, the entire outside top deck was filled with airplanes and helicopters, each with their own bit of history. I looked at and read about Fighter Jets from the US Navy that were part of wars such as, Vietnam, the Gulf War, and World War II. At the center of this deck I was able to climb up to the Captain’s Bridge. I thought this was one of the coolest parts of the ship because even though it was small, it still seemed like one of the nicest parts. I walked through the control room and the Captain’s Sea Cabin. It felt like one of the most exclusive parts of the ship and I think that’s why it was so appealing and exciting. After that, I had two more decks to explore- the Third Deck and the Gallery Deck. These decks were inside and completely opposite from the Hangar Deck because it was a lot more closed in, filled with narrow hallways and doorways to climb through. Here, I was able to get a feel of what it was like to be working on the ship. I saw numerous cubbies with bunks and bathrooms, the kitchen, lounge and cafeteria rooms. It was fascinating to see how everything fit, even though it was so crammed. As I was making my way off of the ship, back onto the pier, I realized that I loved this museum because it was so unique in a way that each deck was completely different from the other. Whether it be outside or inside, or open spaced or closed spaced, this kept the museum constantly exciting and gave off a real feel of the actual boat. I enjoyed that I felt like I was on an exploration rather than formally walking through an organized museum. It is needless to say at this point, but if you enjoy exploring and are looking for an adventure, the Intrepid is the place to be. As the weather gets nicer and nicer every day, I can’t help but think that summer is coming. I know, we’ve barely gotten any spring yet, but the unofficial start to the summer is just over one month away, and there’s no happier time of the year than Memorial Day Weekend. Memorial Day in NYC is an interesting holiday. Usually, people will use any holiday as an excuse to come into the city, but Memorial Day works in the opposite direction. Memorial Day weekend is the biggest weekend for New Yorkers to leave the urban jungle that we call home and head out to Long Island, Coney Island and the Jersey Shore. New York City empties out and everyone heads to the beach because boy, has it been a long time since we’ve laid out on the beach. Because Memorial Day Weekend features the emptying on New York City, it actually serves as one of the few holidays in which you won’t have to fight the overwhelming crowds on the streets- if you do it right. Last year we wrote a few tips for avoiding the crowds Memorial Day Weekend, a post worth checking out. Essentially, you need to take advantage of the fact that everyone is going to be more focused on the beach than the City. Midtown will be crowded because, even though there is not going to be a fleet week this year L, we still expect some unofficial honoring of our troops around that time. 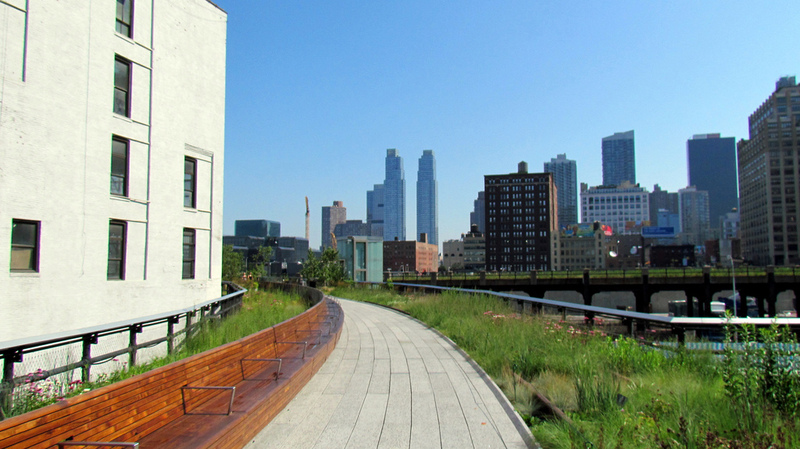 We recommend heading up to the Cloisters, or maybe The High Line- something that will take advantage of the beautiful weather and the lack of people in NYC. 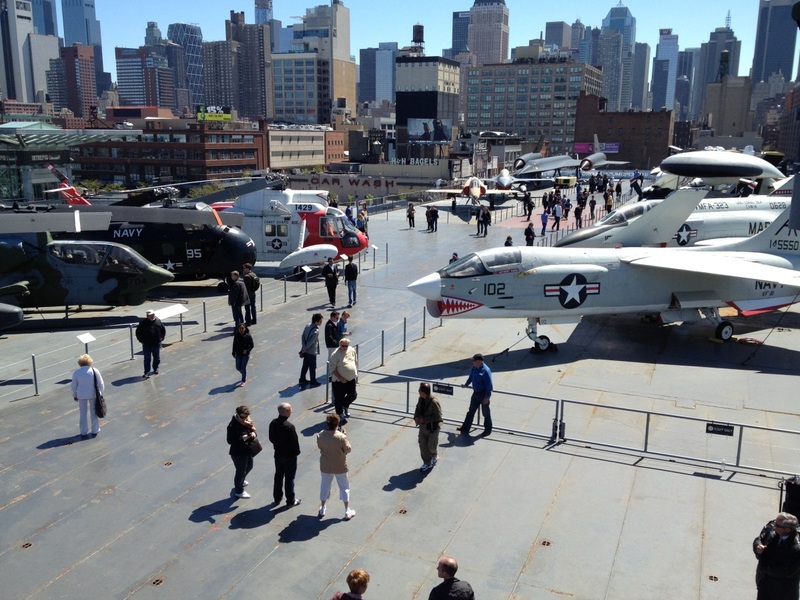 If you’re trying to stay away from crowds, you should probably pass on the Intrepid. Don’t get us wrong, we love the Intrepid and recommend visiting, but Memorial Day Weekend probably isn’t the best 3 days of the year to do so. What are your plans this Memorial Day Weekend? Are you heading down the shore? What will you be doing in NYC? Share with us in the comments. What an awesome sight this was! 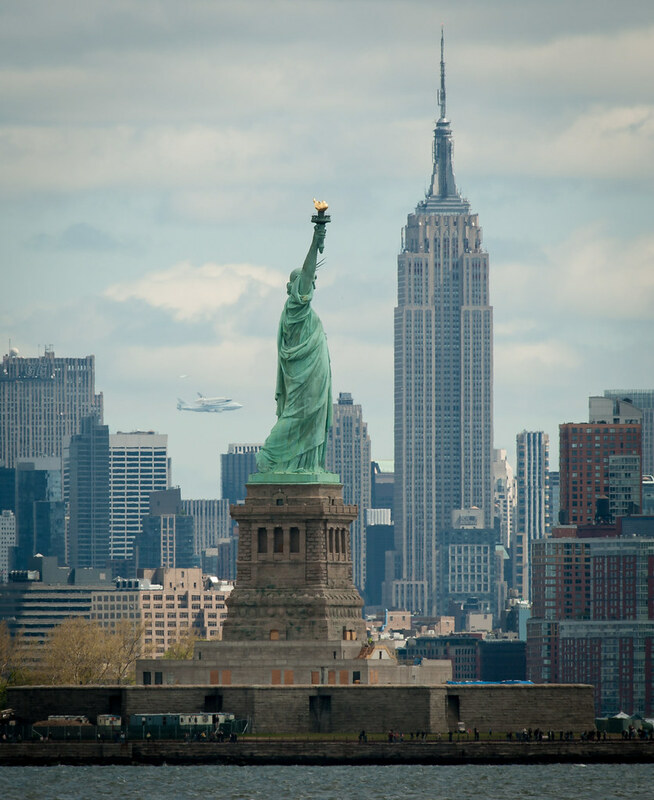 The Enterprise, on route to JFK Airport from Washington DC, decided to fly over Manhattan before landing. The shuttle flew up around the Intrepid on the Hudson River and then over to the Airport. This video was captured by our friends at New York Waterways!